Solani ABF in my restored LHS smooth chubby pot with a sterling silver band and a comfortable saddle stem. Starting off my smoking day with Cup O’Joes #5 Bigfoot Flake in a medium bend 2001 Ural lattice Rhodesian with a yellow stem with white swirls. A bottle of Cheerwine is my drink. 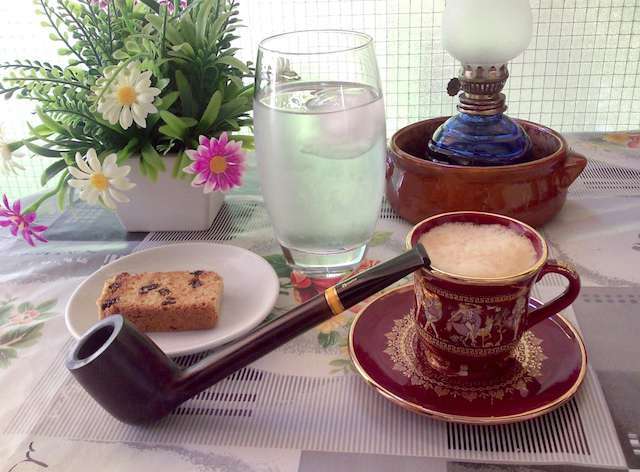 Briar Patch Baker Street - Savinelli. Rattray's Bagpipers Dream in my Joh's smooth Brandy bowl with an oval shank and a wide slightly bent stem. Half way through this bowl of Edward G. Robinson's Pipe Blend in a 1980s black sandblasted slight bend Savory’s Argyll 281 Cherrywood with a black vulcanite stem. Almost time for the Cubs-Pirates game. A bottle of Boylan's Birch Beer is my drink. Almost finished smoking Seattle Pipe Club Plum Pudding Reserve in a black pebble finish straight 2003 Cavicchi C. Fatto A Mano lovat with a black acrylic stem. Now smoking Watch City Flake #558 in a smooth straight early ‘60s Lane era “William Conrad” Charatan Executive Extra Large stretch apple with diagonal channel cuts on the lower right and left of the bowl along with a black vulcanite double comfort stem. 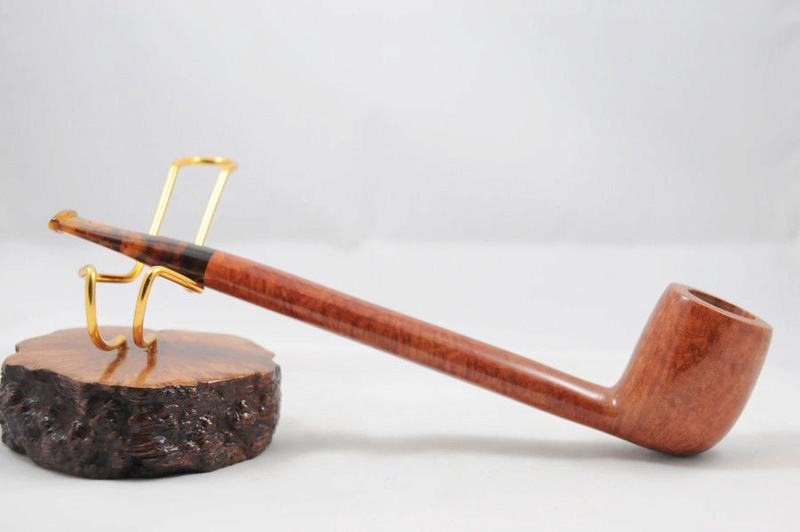 Now enjoying Angler's Dream in a mid-70s straight smooth octagonal paneled Jeanet (made by Chacom) billiard with a black vulcanite saddle stem. Ice water and bergs is my evening drink. MM Great Dane tobacco in my Stanwell Royal Guard pipe. A stunning piece of briar. Now smoking MacBaren Burley London Blend in a smooth medium bend 2011 Rinaldo Collection Fiammata Silver Line 7 Odea 4 flame grain bulldog with a silver band and a tortoise shell acrylic stem. Now smoking D&R A.B. Rimboche in a smooth straight pre-transition Barling 313 T.V.F. EXEXEL pot with a black ebonite stem. This will get me to dinner time, which, due to me being busy, is my fault. Oh well, I get another smoke in, so there's no loss. Granger, over 35 years old in a new MM Country Gentleman pipe. Had to break this cob in with my own mix of pipe mud and let it cure for just over 48 hours.